Are you a student researcher needing accurate, timely data for your thesis or dissertation? We can help. We have been providing instruments for researchers like you for 20 years. If your student research is for a thesis or dissertation and is unfunded, you are eligible for a student discount. You can start by buying only the manual for your chosen instrument, which includes a non-reproducible copy of the instrument for inclusion in your proposal appendix. We recommend you wait to buy the license until your project is approved. We don't require certification for the use of our instruments. We believe you already know, or can learn, how to correctly use them via instructions and manuals. Some advisors recommend defining a thesis or dissertation topic and finding an instrument to assess that topic. Others advise finding an instrument first and then structuring the central research topic around what the instrument measures. See Topics or Our Products sections to explore the possibilities. Multifactor Leadership Questionnaire™ (MLQ) — See MLQ for Research tab for a list of products designed to aid research. Quick link to MLQ Manual. State Trait Anxiety Inventory™ (STAI) — quick link to STAI Manual. Maslach Burnout Inventory™ (MBI) — quick link to MBI Manual. Group Embedded Figures Test (GEFT) — quick link to GEFT Manual. Social Skills Inventory (SSI) — quick link to SSI Manual. 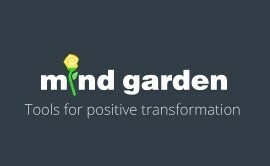 Use Mind Garden's Transform Survey Hosting system. Use Transform to have us customize your survey (fee-based option), set response deadlines, invite and remind participants, and collect and download your data. Purchase add-ons such as Group Reports to make your job easier. Or create your own survey using an outside online survey site. You'll need to retype and re-format the instrument yourself. For this option, purchase Remote Online Survey License, complete our Remote Online Use Application, and agree to our online policy. Buy our Transform™ Survey Hosting option rather than trying to create a do-it-yourself survey on another website. You'll save on time and frustration. We can customize your survey by adding informed consent, demographic questions, other instruments, and more. Many login options exist for your survey participants. If you want to save time with calculation and analysis, consider buying our Transform™ Survey Hosting, with or without customization, and add on a Group Report. Yes, we offer a student discount for thesis or dissertation research that is unfunded! We believe in keeping instruments accessible for student research. Students may take advantage of a 20% discount on a license purchase (Transform™ Survey Hosting License, Remote Online License, or License to Reproduce). The discount is available on a license purchase only. Who can request the student discount? If your research is for a thesis or dissertation and is unfunded, you are eligible for a student discount on the data licenses. The discount is intended to support unfunded student research. How to request the student discount? Please complete our student discount request form; all fields are required. You will be emailed a unique voucher code that is valid for 72 hours. The voucher code is good for the student discount for a single license purchase.